Ironman and LifeTime Fitness have started the „Women For Tri“ initiative, which was established to grow female participation in triathlon. 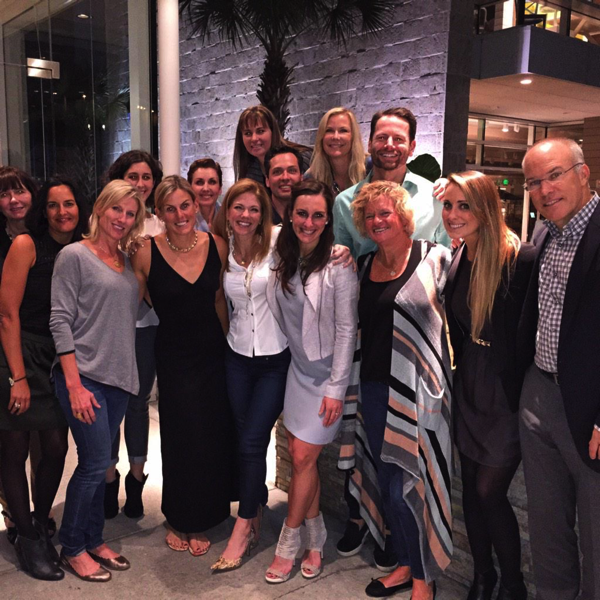 They have announced an advisory board which met for the first time at the Ironman headquarter in Florida on Wednesday, February 4th. While the meetings are of course not open to the public, a lot of information about the meeting has been reported. I find it very encouraging that the board seems to be interested in an open discussion of the issues at hand, and isn’t dealing behind closed doors. While the main mission of the board is to “identify the actual barriers to entry for women in the sport“, they have also discussed the related issue of equal qualifying spots for professional men and women in Kona. There was a lot of pressure on social media encouraging the board to take up issue #2, and I’m glad that they are engaging in the discussion. I also think that granting equal slots will have a positive effect on improving female participation in general. His position has been that there are 50 pro men who are competitive enough to factor into the Kona race dynamic and have a legitimate shot at a top finish at the world championship. As an example, he cited pro Ronnie Schildknecht, who was at the bottom of the KPR standings heading into Kona last year but still finished 12th. While I was happy to see Ronnie qualify and race well in Kona, he is not representative of the male athletes that qualified at the bottom of the KPR: The last 11 qualifiers were Dan Halksworth (DNF), Chris McDonald (DNF), Elliot Holtham (35th), TJ Tollakson (DNF), Harry Wiltshire (29th), Richie Cunningham (DNF), Chris Brader (28th), Justin Daerr (26th), Ronnie Schildknecht (12th), Andreas Raelert (36th and last finisher), and Paul Ambrose (30th). Of course there are some examples of people qualifying at the bottom of the KPR that are still doing well in Kona – the most notable this year was Ben Hoffmann who qualified as 29th male in July (so he wouldn’t have qualified in the women’s field) who finished 2nd in Kona. The unspoken implication of this argument is that the additional women that would have qualified if there were more slots wouldn’t have played a role in Kona. I don’t agree with that sentiment – so let’s look at some of the women who probably would have qualified with extra slots. The inclusion of Angela Naeth, Amy Marsh, Sophie Goos, Rebekah Keat, Eimear Mullan, or Laura Bennett would clearly have had an impact on the Top 10 finishers this year! A similar example to Ben Hoffman in this year’s men’s field is Rachel Joyce in 2013 when she barely qualified as #34 in the KPR but continued to finish 2nd in Kona. He says that the pro women’s field isn’t yet deep enough to justify 50 slots. I have addressed this perception in my recent post „Women’s Field as Deep as Men’s?“. I was able to demonstrate that there is not perceptible difference between the depth of men and women – at least up to #35 where men and women are on a level playing field. ( An analysis up to #50 would require 50 women in Kona.) Repeating that women lack the depth doesn’t make the statement any more convincing. [G]iven the rigidly static number of available Kona qualifying slots, adding 15 to the pro women’s field would require taking those slots away from other people, potentially the pro men. For Kona 2015 qualifying Ironman has added ten more slots by giving the winners of the five Regional Championships a direct Kona slot. Whenever there are new Ironman races, they always come with a sizable number of Kona slots. Most recent examples are IM Muskoka (50 slots), IM Netherlands (50 slots) and IM Vichy (50 slots). Adding 15 Pro women won’t have any impact on the congestion in the men’s age group race. Even if the number of slots has reached it’s maximum, Ironman isn’t helpless: It is simply their choice whether to assign 15 slots to the a new race, an existing race or the Pro women. 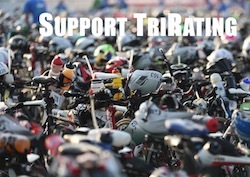 I don’t believe that the only thing on their mind is the less than $10.000 they make from age grouper slots. Overall, I am encouraged by the first meeting of the „Women for Tri“ board, their discussion and the information that is being shared about it. I hope that the open dialog continues and that there will be changes that help increase participation of women in triathlon while removing unequal treatment of women in our sport. The women’s pro field is nowhere as large or deep as the males. This is a fact. One can go to the results of any given ironman race or 70.3 and the facts are clear to see. Of course you are entitled to lobby for more slots but the reason cannot be based on facts. At this point it just sounds whiney. When the women’s pro field becomes more competitive I believe they will do the right thing. I think that you’ll come to a different conclusion when you look to Kona and the 70.3 World Champs. These are the only races where all the top Pros show up — and where you end up with a comparable depth of field. Maybe the title of my analysis post was a bit loose, but the data is from Kona. I agree with you that this doesn’t happen in almost any other IMs and 70.3 — but that’s a consequence of fewer women racing, they just get spread too thin. Everyone can think of very shallow women’s fields such as France 2013 or Wales 2014. How this continues to be an issue staggers the imagination. In the future we’ll look back and shake our heads. Andrew is a strong leader who has done a terrific job of leading this wild herd of cats that is Ironman but in the end he will be remembered as the man who fought on the wrong side of equality – a sad legacy. Regardless of whether or not the woman’s field is as “deep” as the men’s feild to me is beside the point. The important thing is the pro men’s field vying for spots at the world championship is much larger than the woman’s pro field and that should be justification enough for more slots for men. When the participation of women in ironman triathlons becomes more equal to men then I think an equal number of slots is justified. The argument that the women’s field was (supposedly) less deep than the men’s was used to support unequal slots. I don’t think that that perception is justified. Is “men vying for spots” is the same as “more Pro men”? I accept that argument, but it doesn’t carry much weight in my eyes for the absolute top of the field. Also, I believe that having the same number of slots will be an excellent measure to encourage more women to participate.